"Flirting" is an original pastel on paper. 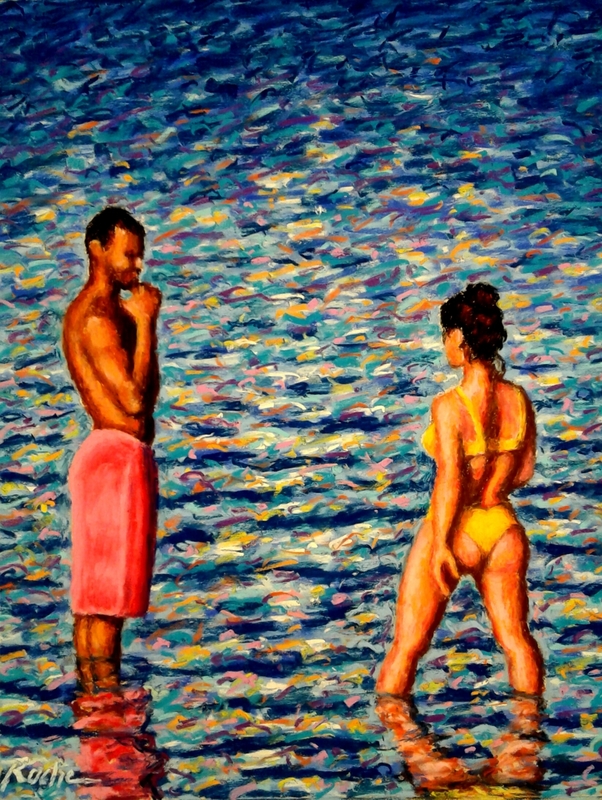 It features two young people flirting with each other as they stand in the ocean water, on a summer day in the late afternoon. The original is available framed only, and this piece is also available as a limited edition giclee print in an edition of 50, framed or unframed. All purchases come with Free Shipping.